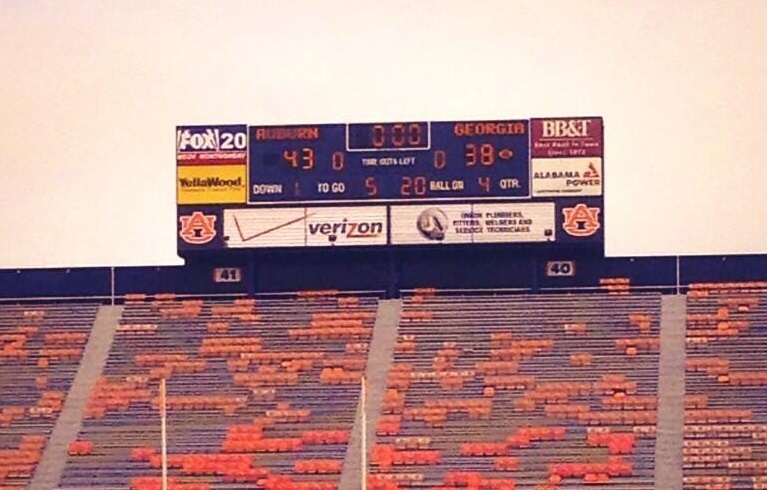 What If Auburn Had Two Huge Video Boards? Auburn’s brand new massive video board is mostly ready for the 2015 season. As of now, Auburn is just working out kinks on the video side of things. In today’s society, people always want more, so as soon as Auburn announced that the board was going up, some began to ask when the North end zone scoreboard was going to be updated. There are rumors that Auburn will be adding more luxury seating to that end zone. That may remove the need/ability for a major upgrade to the current, classic scoreboard. 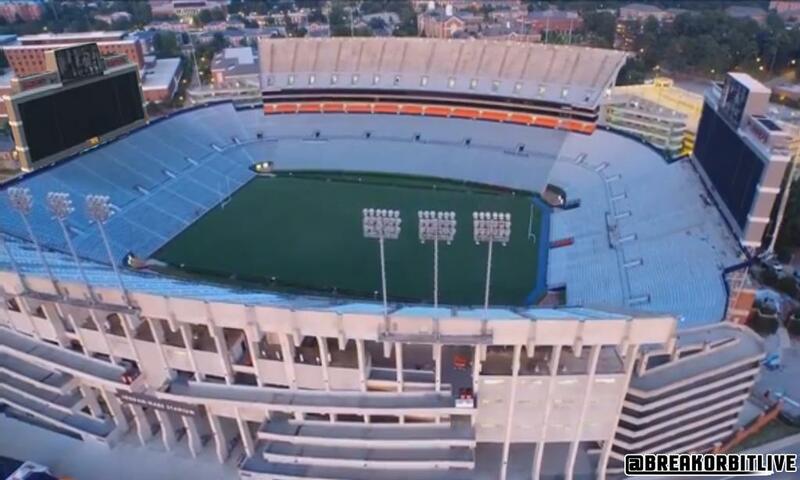 But for those that still want to see, @BreakOrbitLive has given us a look at what Jordan-Hare Stadium would look like sandwiched between two behemoths. Refs better get it right or they will have 87,451 holding them accountable with Instant Replay. Can you imagine? I can. War Eagle! One of those behemoths is enough. Build an upper deck for more seating.